Razer unleashed their latest gaming peripherals, the Razer Huntsman (Elite) Mechanical gaming keyboard. Unlike your typical RGB-enabled mechanical gaming keyboard, the Razer Huntsman is built with Razer’s Opto-Mechanical switches. These switches uses infrared light beam to detect key actuation precisely. The new keyboard is available in two variants, the Razer Huntsman and Huntsman Elite. The Huntsman looks like a basic Razer mechanical keyboard that uses the Opto-mechanical switches. On the other hand, the Razer Huntsman Elite features dedicated media keys and a multi-functional digital dial. You also get a nice wrist rest and both the keyboard and wrist rest have 4-side underglow. Check out more details below and where you can grab one of these. Razer, the leading global lifestyle brand for gamers, today announced the new Razer Huntsman premium gaming keyboard line. 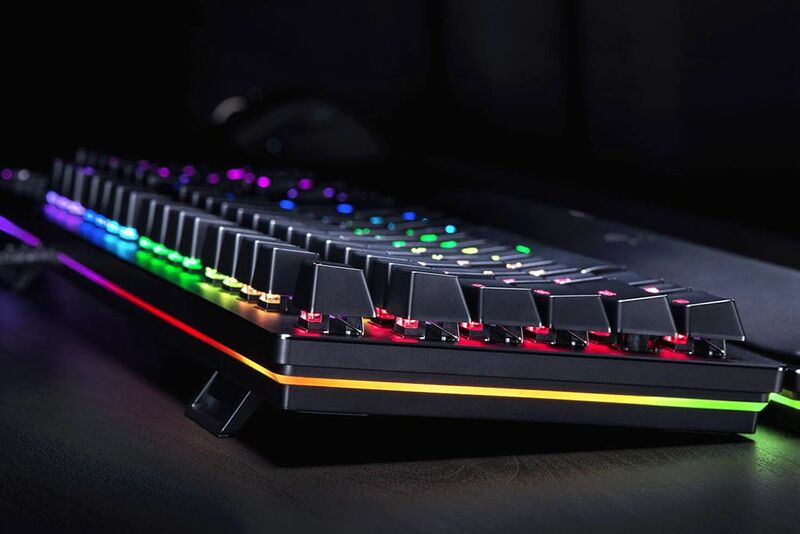 The duo includes a full-feature Razer Huntsman Elite keyboard with dedicated media keys, wrist rest and underglow lighting, and a performance-focused Razer Huntsman keyboard. Both units are equipped with Razer’s latest Opto-Mechanical Switches with key actuation at the speed of light. 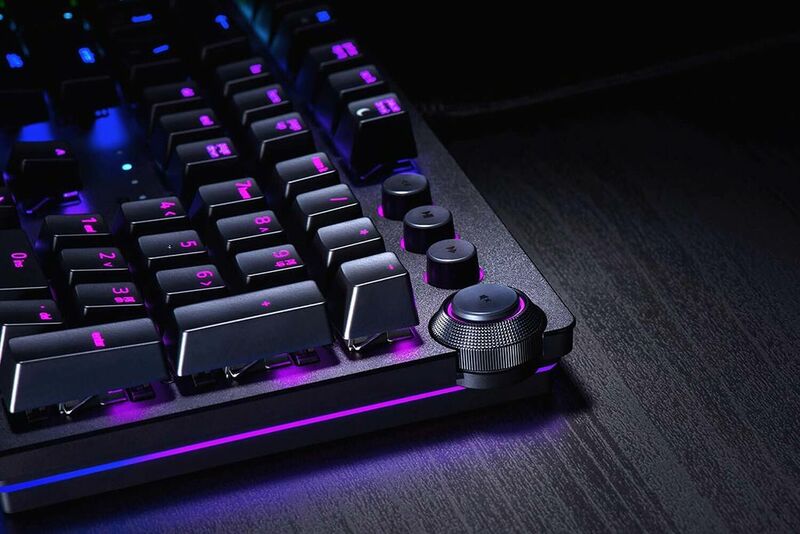 Razer’s new Opto-Mechanical Switch showcases the gaming brand’s continued innovation in gaming switches. Using optical technology, an infrared light beam inside each switch precisely detects actuation when a key is pressed. A 1.5 mm actuation point allows the Razer Opto-Mechanical Switch to actuate 30 percent faster than traditional clicky mechanical switches. Gamers can choose from 16.8 million colors and a variety of lighting effects. Customized settings can be created using the Razer Synapse 3 software platform and shared with millions of other Razer software users via the Razer Chroma Workshop. In-game Razer Chroma lighting profiles are also integrated into popular game titles, including “Fortnite,” “Overwatch,” “Warframe” and more. These profiles can display tutorials, dynamic effects that react to gameplay and more. The Razer Chroma experience can extend to other devices for even more immersive visual feedback. 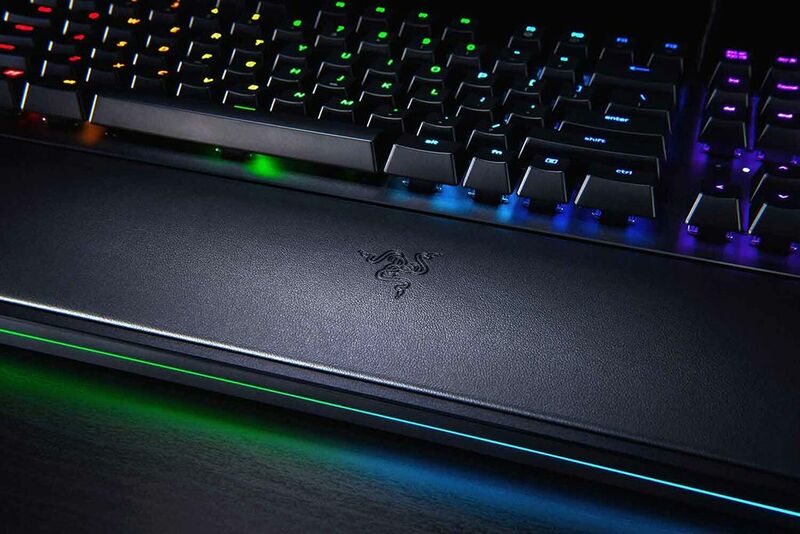 Razer Huntsman Elite owners may pair it with other Razer Chroma-enabled products and synchronize with smart lighting in the home via Philips Hue integration with Razer Chroma. Both the Razer Huntsman and Huntsman Elite mechanical gaming keyboards are now available. The Huntsman retails for $149.99 USD, while the Huntsman Elite retails for $199.99 USD. You can check the latest pricing and availability via the links below.